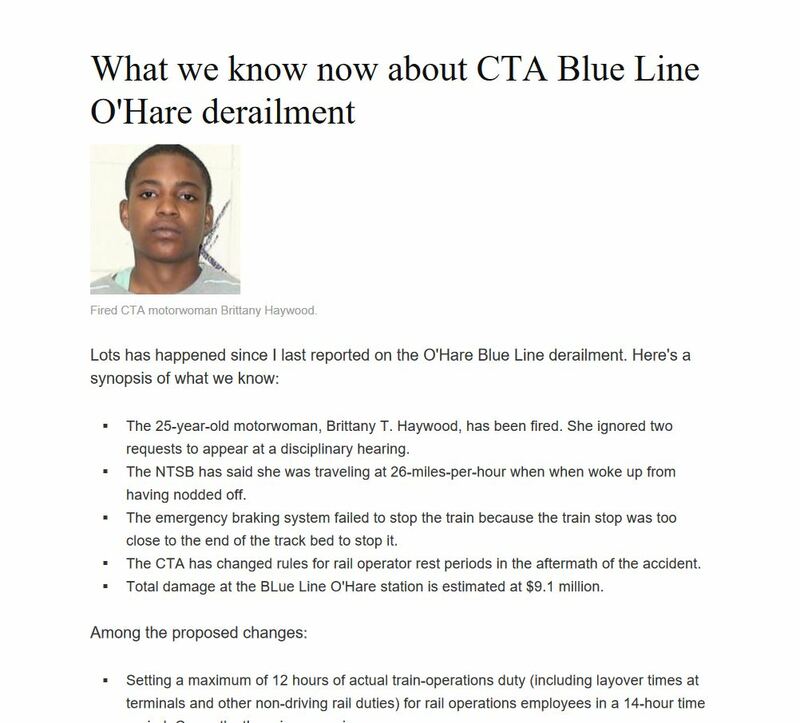 Lots has happened since I last reported on the O’Hare Blue Line derailment. Here’s a synopsis of what we know: The 25-year-old motorwoman, Brittany T. Haywood, has been fired. She ignored two requests to appear at a disciplinary hearing.